Fredonia, NY (April 7, 2019) – On Thursday night, around 10:20 p.m., the Chautauqua County Sheriff’s Office and Fredonia Fire Department responded to a fatal accident that took place on Ellicott Road. 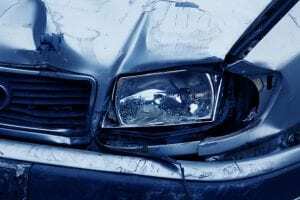 Police found that, through their investigation, the accident took place when the operator of one vehicle was involved in an accident and their vehicle drifted off the side of the road, where it then traveled down a steep ravine. The driver, identified as 28-year-old Philip Cunningham, was pronounced dead at the scene of the accident after police worked to pull the vehicle up out of the ravine. Nobody else was injured in the accident and the investigation continues. Between the years of 2012 and 2014, around 1,000 people were killed in New York fatal accidents at the hands of other drivers. Many others were hospitalized for their injuries in these serious accidents. Many of the top reasons for serious and fatal accidents in New York include speeding, drunk driving, distractions, and more. If you have lost somebody close to you in a serious accident, you have the right to file a New York wrongful death claim for the compensation you deserve. Our accident attorneys at Hach & Rose are here to offer our full support to you if you believe that another driver has acted recklessly and it has caused turmoil in your family as you face the loss of a loved one. While it can be difficult to fathom moving forward past the emotional and financial turmoil, there is hope in your case. Please contact us at 212-779-0057 to find out what we can do for you.